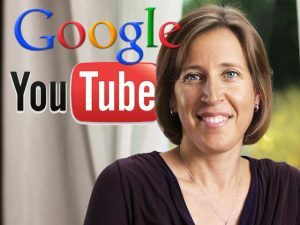 Google has appointed former Senior Vice President of Advertising and Commerce,Susan Wojcicki, as the new Chief Executive of YouTube according to a recent statement by Google CEO Larry Page, and confirmed by Wojcicki on Twitter. But, who is Susan Wojcicki, why did Google give her the top job, and what does all this mean for YouTube? Excited to join #YouTube – wonderful team, amazing community & inspiring creators. I look forward to watching a lot more videos during work. Why did Google give Wojcicki the top job at YouTube? 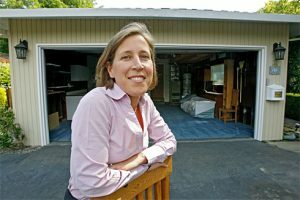 Susan Wojcicki, 45, from Santa Clara County California began her relationship with Google when founders Larry Page and Sergey Brin set up office in her garage in 1998. She was the 16th person to be hired by Google and worked her way up to become Senior VP for Advertising and Commerce. For her work with Google, Wojcicki achieved number thirty on Fobes most recent list of the world”sTop 100 Most Powerful Women. She has also been dubbed the “Most Important Person in Advertising,” by marketing blog Adweek. Wojcicki at the garage that was Google”s first office. YouTube is definitely a significant piece of it. But we’re not betting everything on it. The Web is a big place and there are casino online many big publishers, and you have to go where the users are going. It”s clear that Wojcicki knows advertising and it”s also clear that Google have been trying to make the most of advertising with YouTube since acquiring the site for $1.6B in 2006. The now former CEO of YouTube, Salar Kamanger has been shifted onto new “early stage” projects. Salar and the whole YouTube team have built something amazing. Like Salar, Susan has a healthy disregard for the impossible and is excited about improving YouTube in ways that people will love. – Larry Page, Google CEO. With Kamanger moving to uncharted waters, and a estimated $5b US revenue ship left without a captain, Wojcicki was the perfect fit. Susan Wojcicki, Google”s new head of YouTube. There”s so many exciting things ahead for everyone in this world we”re all creating. YouTube, its community and creators have a front row view of the action. I can”t wait to dive in. It looks as if Google are hoping that Wojcicki can work to streamline YouTube”s advertising processes and mechanisms to make the site more user and developer friendly. As for any concrete decisions, it is still early days, and even though Wojcicki say she has a plan for YouTube, she admits it will take some time before we, the audience, sees the results. We’re just really early, and that’s what keeps me engaged. I can see it will come. I have that vision. I have the blueprint of where I want it to go. I just know there are a lot of steps we need to take to get there.